Damir Karakaš (Plašćica, 1967) was born in a village in Lika, the mountainous region of Croatia. After attending university in Zagreb, he worked for Croatian daily newspaper Večernji list, later becoming a reporter from war fronts in Croatia, Bosnia and Kosovo. He is the author of eight books, three of which are short story collections and two are novels. His works have been translated into French, English, German, Spanish, Czech, Slovak, Macedonian, Slovenian, and Arabic. 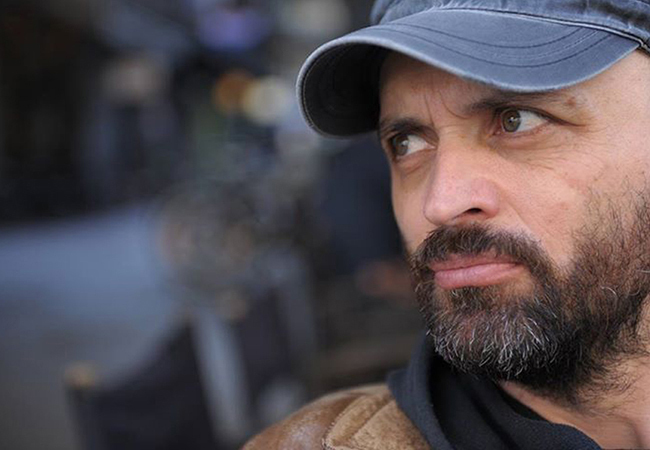 In 2008, Dalibor Matanić directed a movie adaptation of his short story collection Kino Lika, winning numerous awards in Croatia and abroad. Damir Karakaš puts up performances, conceptual art exhibitions and writes theatre plays. His play We Almost Never Lock Up was directed by Paolo Magelli as a part of a play Zagreb Pentagram, the most awarded theater play in Croatia in 2009. His plays have been performed at the theatres in Croatia, Serbia, Germany, Chile, and Abidjan, Ivory Coast. Brilliant author who does miracles on a very little space. Karakaš has a superb talent to draw the reader into his world, no matter if it is Lika or Paris. This is a novel you can't stop reading, but you also feel somewhat bad, because the main protagonist was one of the few who had any perspective at all. This is a perfect place for new Croatian literature!